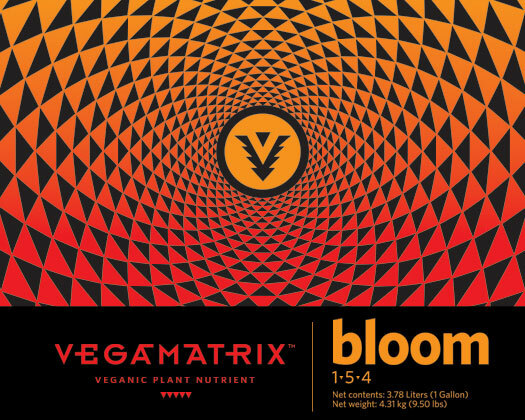 Vegamatrix Bloom is a vital nutrient for your plants health and full flowering potential. This 100% veganic nutrient was formulated to guarantee that your plants get the maximum amount of NPK that they can absorb when they need it. There is no “lockout” with Bloom! Your Brix counts, which is the measure of sugars in plant tissue, will go sky-high and that means dense, resin filled flowers that have maximum potency and enormous yield. Vegamatrix Bloom is virtually non-burning which makes it very hard to over fertilize your plants causing leaf burn. Vegamatrix Bloom produces CLEANER, healthier plants with maximum yields.